There has been a tremendous surge in online shopping over the years, and it was felt that the result led to depressing high street sales. But, strangely enough, the latest data indicates just the opposite. In 2015, shoppers visiting high street stores increased by 40 per cent, and the prediction was that this would touch 44 per cent by 2018. What is the reason for this change for our high streets? Online shopping has lead to stock with retailers being shifted, and this has led high street stores to use the changed space to create an experience for shoppers. Shopping has been transformed more into a social activity than a spending one, and stores use their physical space to represent the brands they sell than to direct selling of their products. QUIZ clothing, who is a retailer of going out dresses, explored this phenomenon further by looking into high street. Technology in retail originally came from e-commerce and the internet, which most brands have, by now, embraced. The key to keeping your e-commerce and back office running efficiently is reliable broadband. Always look at a broadband comparison to ensure that your provider will meet your company’s requirements. But recent studies indicate that people still value brick and mortar stores – a fact borne out by the fact that 81 per cent of customers in the United Kingdom still opined that physical stores were still vital parts of their shopping experience. So, how do high street retailers get involved with in-store technology and its implementation? Access exclusive reports that can save you time and money by subscribing to the FREE newsletter from Global Banking & Finance Review. Customers have readily accepted kiosks in-store. 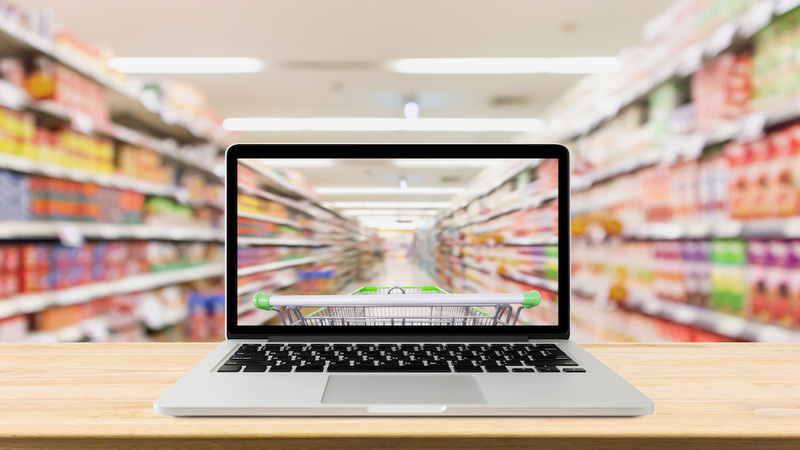 This is not the case however with all retailers, with two-thirds of them, when surveyed for studies, said that they had not encountered AI in-store. This is a technology that has a huge potential, something retailers do not realize. It is a fact that 60 per cent of consumers find that by using technology to find products, they found products that they had not been aware of earlier. For example, digital stores of QUIZ, enabled visitors to go through the entire collection, even those that were not available in-store, and then place orders at their local stores or for delivery to their homes. This technology can help staff members to give improved service to their customers. This can be done by providing every employee with smart tablets or handheld iPads. This enables staff to easily answer queries, check the product availability and help customers to order products without any need to use a fixed computer. This helps in improving the customer’s experience and building a stronger customer relationship with the brand. Augmented reality has also got into retail. It is a technology that helps customers to make purchase decisions by helping them to visualize themselves with the virtual product. While this can always be done through apps, there are other ways it can be introduced into a store. A fashion store can have smart mirrors that allow customers to try out various outfits without having to actually dress in them. Furniture stores can similarly have visitors upload photos of their homes and test out virtual pieces of furniture so that they can see what best fits their homes. Technology can not only help in-store but can be effective for the brand as well. In-store technology in a physical shop can make it possible to improve the attractiveness of a brand to customers. This fact has been recognised by retailers, with 53 per cent of them viewing investments made in new appliances and automation as necessary to keep up with their competitors. In-store technology has also led to an enhancement in customer experience. Studies indicated that 46 per cent of the people who were part of a survey said that their confidence in the brand increased because of their positive experience with well-functioning technology. Technology can be fickle at times, as many of us will have experienced. This can lead to frustration, while adding time to the visit of the customer, with this leading to a negative experience. Two-thirds of the people surveyed by Retail Week had experienced breakdowns with technology. This can have an unfortunate effect on sales, with a third of customers being unable to complete transactions because of difficulties with the technology. Poor experience with failures of in-store tech can cause customers to leave and, sadly, prevent them from coming back. This needs retailers to always have software and technology updated and well maintained so that these issues are avoided. On the same lines, a technology that is over-complicated can also put off customers. This can make customers feel excluded. In-store technology must be easy to use and where it is more complex, visitors to the store must always be accompanied by competent staff. In-store technology has become quite popular on high street. Customers will happily shop online, but they also enjoy shopping as a leisure activity and if they have an interactive experience while doing so, they would be appreciative. Contributed by Jacob Bernstein who has worked in the area of digital marketing for over a decade and in that time has seen a lot of amazing changes.